On the Arrive Alive website, we find information on the importance of Digital Mapping for Road Safety. Accurate and effective mapping is an important part of road construction and engineering. It also increases our ability to better address weaknesses and identify so-called “hot spots” in need of immediate attention! It is important for safe routing, alleviating traffic congestion and evaluating the successes or failures of initiatives at specific locations. MapIT recently announced that it has built a geospatial layer which is SAPO (South African Post Office) compliant. This data layer includes over 900 postal code areas and in addition to this also incorporates over 2 400 post office sites with post boxes for South Africa. A road safety friend enquired an explanation as to what such a “Geospatial layer” might be, and we decided to raise this with the experts from MapIT. 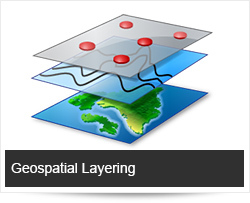 What is a Geospatial layer?  - Can you please provide a description to illustrate? The Term ‘Geospatial’ is relating to or denoting data or information that is associated with a particular location. Geospatial information is information describing the location & names of features beneath, on or above the earth's surface. 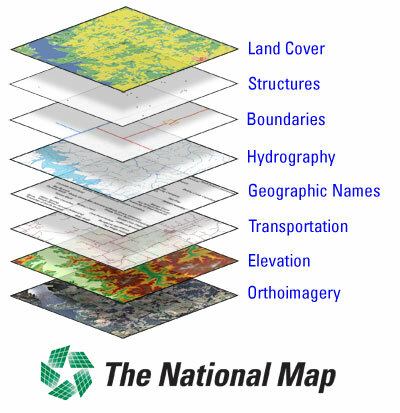 At its simplest, this can mean the basic topographical information found on a map, but also includes different location-related datasets combined into complex layers that show information such as land use and population density. The terms "geospatial information", "spatial information" and "location-based information" are often used interchangeably. An early example of basic geospatial information being combined with other layers of information dates back to the mid-nineteenth century, when a British physician, John Snow, plotted individual cases of cholera on a map during an outbreak of the disease in London. This enabled him to trace the source of the outbreak - a contaminated well. How are these geospatial layers compiled? The source information used in a geospatial layer will vary as the layers themselves vary according to the needs of the user. The base information is captured from ortho-imagery, then the elevation is added. Following on from this the roads and transportations layer is included, naturally following on from this will be the attribute or name information. This is supplemented with the water features, boundaries, structure and finally with land cover information. Statistical data amongst other things can now be analysed on a map, giving it greater visual appearance and not just a number. Why is this important for initiatives to improve safer roads, alleviate traffic congestion etc? Utilising spatial data will have a number of benefits such as preventing service vehicles from being driven where they might be in danger of causing damage to the vehicle or infrastructure or avoiding expensive fines for violating restrictions. For traffic and infrastructure management ‘real-time’ data for all road networks help to improve infrastructure performance, the ‘real-time’ data is based on probes and not reliant on expensive infra based equipment which is a cost-effective way to analyse and improve traffic situations. Which road users is this most important for - is it only for fleet management or logistics companies or for the everyday average Joe Public on the road as well? How can a business owner ensure that the benefits from this and other modern mapping technology? By ensuring their mapping technology provider has the necessary layers and that these ‘geospatial’ layers are incorporated into existing systems to manage their businesses. mapIT supports these needs with sophisticated service integration and industry leading production cycles. We need to recognize that the technologies and systems that enable geospatial information to be used are evolving rapidly, and the range of applications for this kind of information is ever-expanding.